Brickwood. Moments from Clapham Common tube and jumping distance from the common, new bakery and coffee shop Brickwood is THE place to be on a weekend. And weekday. In fact I could quiet happily sit there every day. With an outdoor courtyard (yes i know, a miracle in Clapham) and stylish array of seating, Brickwood is perfect for coffee morning chats, weekend brunches or just a luncheon pit stop. 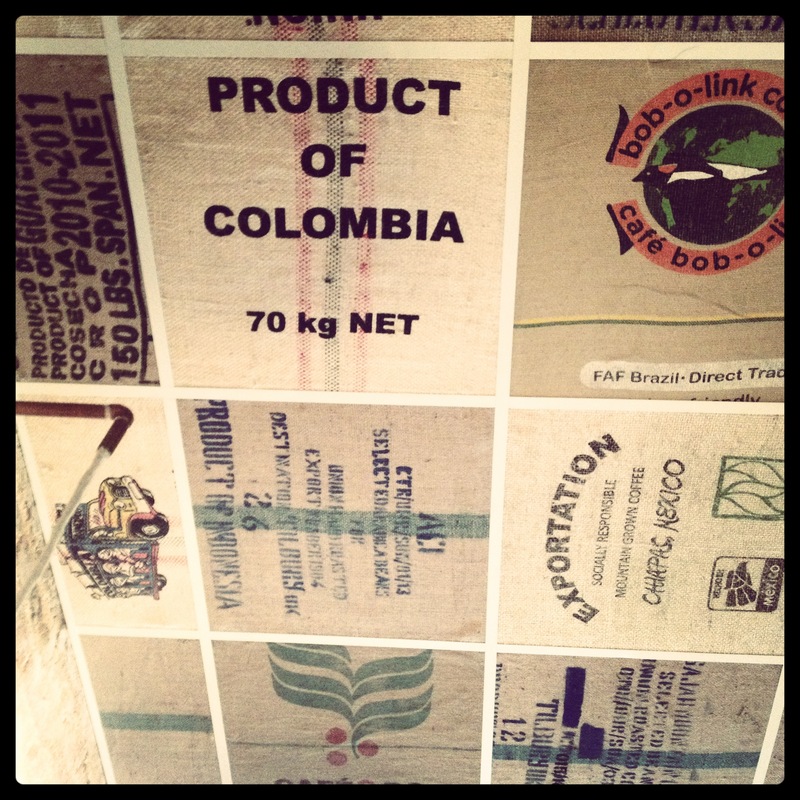 The decor is intricately linked to the name, it’s not corny, it works well and with used coffee bean bags as an acting ceiling, Brickwood has an authentic feel to it. THE. FOOD. IS. GREAT. JUST. GREAT. Having heard rave reviews from various Clapham dwellers I was itching to taste the infamous smashed avocado, smoked salmon and poached egg on sourdough. My egg was runny. That’s all I have to say. DIVINE. 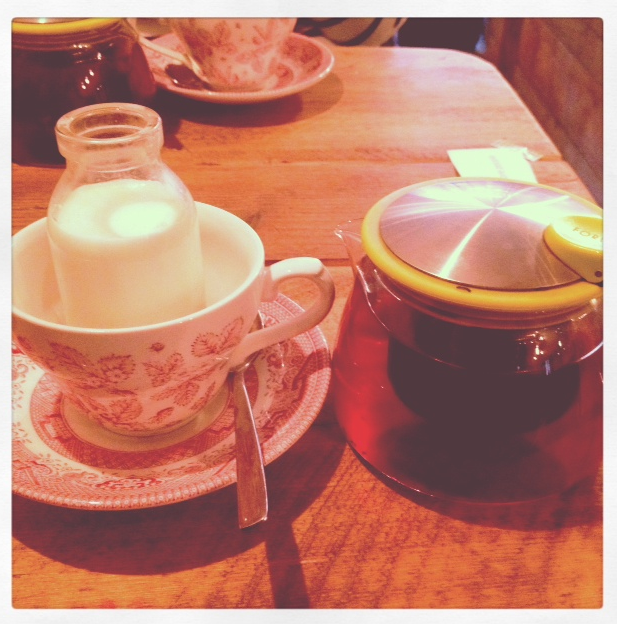 I washed down my scrummy brunch with gorgeously presented pot of tea. Not just a treat for the eyes either. If you get the chance go. Actually scrap that. Make time to go. You will not regret it.